Secretary of State Mike Pompeo has heard an alleged audio recording of Washington Post columnist Jamal Khashoggi's murder inside the Saudi consulate in Istanbul, according to a senior Turkish official. Speaking exclusively and on condition of anonymity to ABC News, the official claimed the recording was played in meetings in Turkey on Wednesday, and that Pompeo was given a transcript of the recordings. Separately, ABC News has also learned that Turkish officials believe that Khashoggi was killed inside the Saudi consulate following a struggle that lasted eight minutes and that they believe he died of strangulation. The White House referred questions to the State Department which denied Pompeo had heard the recording or seen a transcript. "Secretary Pompeo has neither heard a tape nor has he seen a transcript related to Jamal Khashoggi’s disappearance," said State Department spokeswoman Heather Nauert. Pompeo was asked later in the evening about the matter in a brief interview with reporters on a flight to Mexico City, part of a tour to Mexico and Panama. "I’ve heard no tape, I’ve seen no transcript," Pompeo told reporters in the only question he would take on the topic. After initially declining to take questions on the matter in favor of questions regarding his trip, Pompeo denied ABC News' report, calling it "factually false." On his way back from Istanbul on Wednesday, Pompeo was asked if he had heard the audio. "I don’t have anything to say about that," he said. Mevlut Cavusoglu, Turkey’s foreign minister, rejected any assertions that Turkish officials had shared a recording with Pompeo. "Turkey has not given a voice recording to Pompeo or any other American official,” he told reporters. “Chief prosecutor of Istanbul has launched an investigation and we are waiting for the results of this investigation." President Trump has been publicly asking to hear the recording. Pompeo met with the president at the White House on Thursday morning to brief him on his visit to Turkey and Saudi Arabia, where he met with Saudi King Salman and Crown Prince Mohamed bin Salman. It is unknown whether Pompeo shared the transcript with the president, but soon after the meeting the president changed his tune. While earlier in the week the president questioned whether the audio recording existed and cautioned against blaming Saudi Arabia for Khashoggi’s disappearance, on Thursday afternoon his administration abruptly canceled a visit to Saudi Arabia by Treasury Secretary Steve Mnuchin to attend a large investment conference hosted by the Crown Prince, whom Turkish officials have reportedly claimed was behind Khashoggi's killing. "It certainly looks that way to me, it's very sad," Trump told reporters before boarding Air Force One to attend a political rally in Montana. 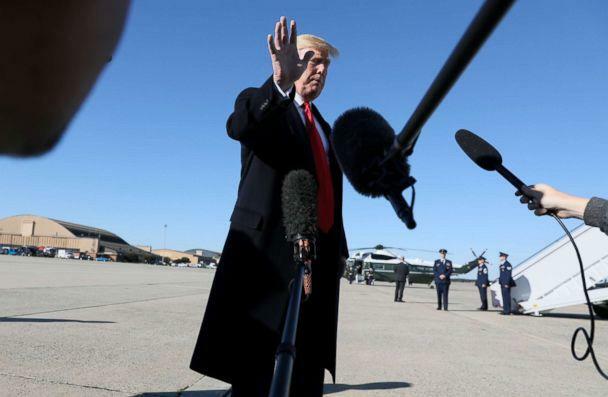 The president said the consequences for Saudi Arabia, if they are ultimately deemed culpable, "will have to be very severe. It's bad, bad stuff." For now, the president said the United States is waiting for the results of several investigations but will then make a "very strong statement." On Thursday, after his meeting at the White House, Pompeo said that he told the president that the Saudis should have "a few more days" to finish their investigation into Khashoggi’s disappearance. But Pompeo also stressed the "long strategic relationship" that the U.S. has with Saudi Arabia, and described the country as an "important counter-terrorism supporter." 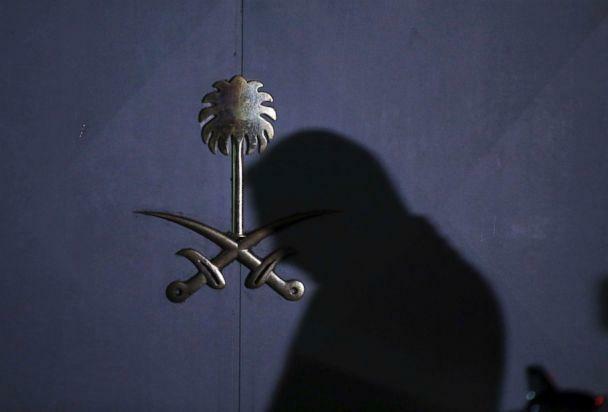 Reports have been circulating for days that the Turkish government has audio recordings of Khashoggi being interrogated and murdered in the Saudi consulate in Istanbul. Turkish officials have openly claimed that Khashoggi was killed in the consulate, and that a group of 15 Saudi men flew to Istanbul around the time of Khashoggi’s disappearance. The Saudi government has strongly denied having anything to do with the disappearance of Jamal Khashoggi. A close friend of Khashoggi, Turan Kislakci, told ABC News in an interview on Wednesday that Turkish government and security officials had told him that Khashoggi was dead. "They said, 'We have audio on this. We know all the details about what transpired,'" said Kislakci. "They said, 'We were able to access this the first day, and we have various other evidence on this.'" Kislakci claimed that the tapes reveal that after Khashoggi went into the Saudi embassy, he was given documents to sign. Khashoggi refused, and was killed. "I still want to wish and hope that he is alive and so on," Kislakci said. "Unfortunately, this kind of news which related with his killing in a barbaric way is coming out." Khashoggi, who had been living in the U.S., went missing more than two weeks ago after he entered the Saudi consulate in Istanbul on Oct. 2. He was visiting the consulate to file paperwork for his upcoming wedding, and his fiancee waited for him in a car outside the consulate. Khashoggi worked as an opinion columnist at The Washington Post newspaper, and has written critically of the Saudi government and its crown prince, Mohammad Bin Salman. 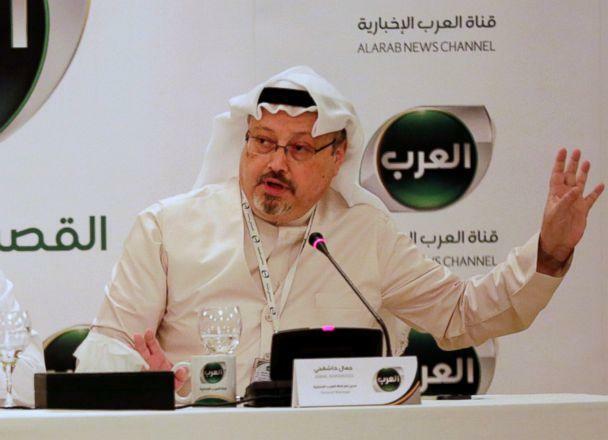 Khashoggi warned of renewed efforts to silence the free press in the Middle East, and his final column, published on Wednesday, was titled “"What the Arab world needs most is free expression." ABC News' Conor Finnegan contributed to this report.